Capital of Japan – it’s a stunning, truly unique city, known all over the world as a futuristic metropolis. Tokyo can impress with modern exhibitions and innovative technologies, as well as with great monuments of Japanese culture. I picked for you some interesting sights – for any taste and preference. 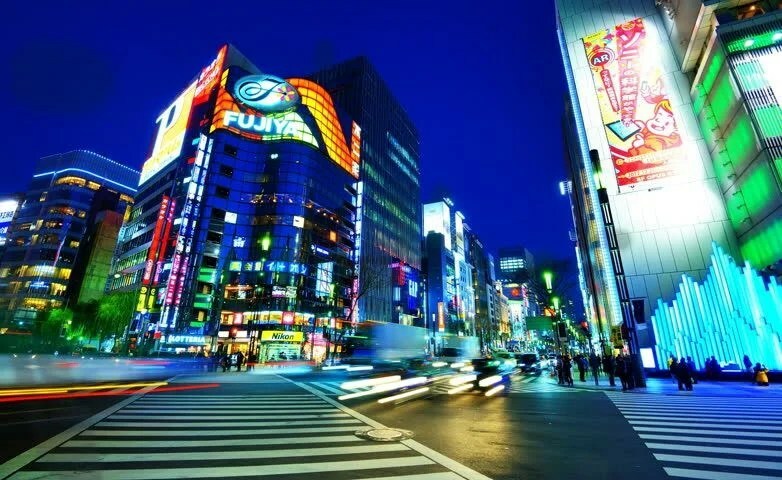 Ginza District – it is certainly main and most popular district of Tokyo, where placed numerous restaurants, trendy boutiques, exhibition halls and buildings of world-known electronics manufacturing companies. Here you can spend your time visiting exhibitions of futuristic technologies or modern anime, to taste an authentic Japanese cuisine and, of course, to find a way to spend your money! The Imperial Palace was built six centuries ago, in the heart of the modern capital, and now it represents one of the main attractions of Tokyo. Although the palace is closed for visitors, tourists can explore surrounding buildings, watchtowers and stunning imperial garden. The castle complex has kept the spirit of ancient Japan and fully conveys the richness of Japanese culture. Located half an hour from Tokyo, this amazing amusement park is known as one of the main attractions of not only the capital, but also the whole country! Thousands of children from all over the world come to Japan to have fun in the local Disneyland. And this is not surprising – park features so many kinds of entertainments and attractions that you will spend not just an hour exploring them, but even a couple of days!